Front door design style and color improve curb appeal and add fabulous accents to modern house designs and home in vintage style. 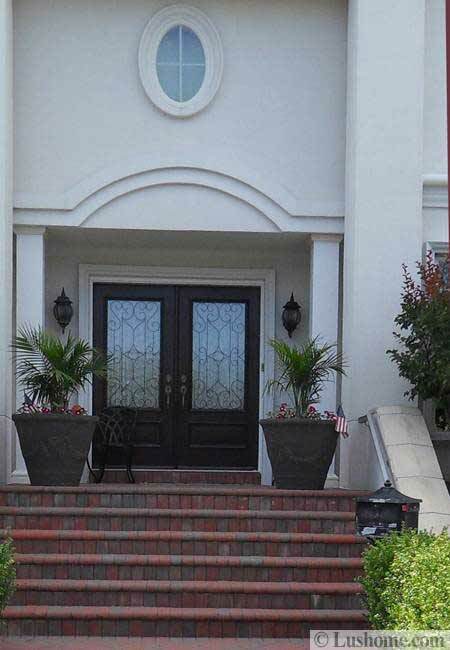 Front door design ideas in many various styles help to find the front door that is perfect for each house. 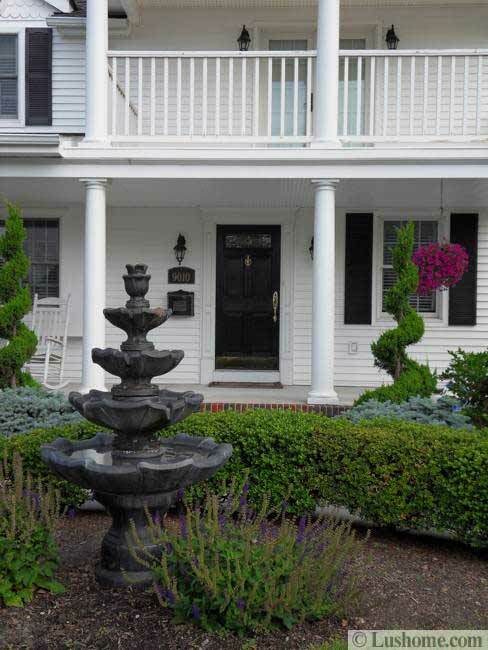 There are customized front door designs and stylish outdoor paint colors that allow to personalize the entrance and house facade, creating a spectacular home presentation. 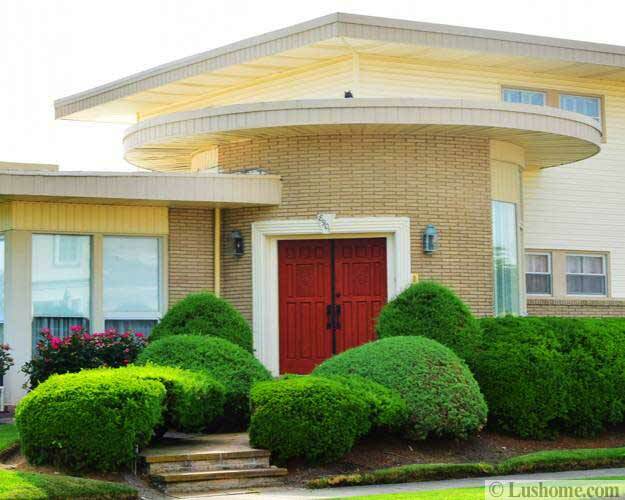 Lushome collection of beautiful exterior doors show attractive ways to improve curb appeal and enrich house design. 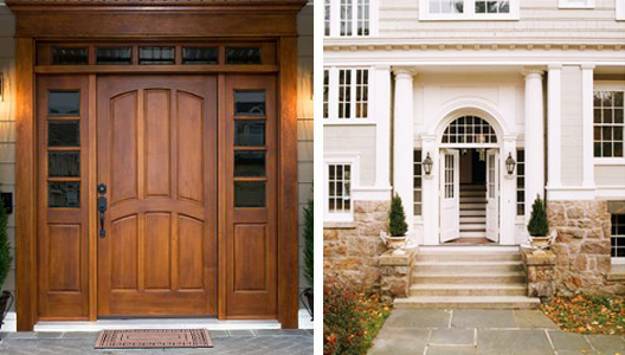 Selecting a front door requires considering a few factors. 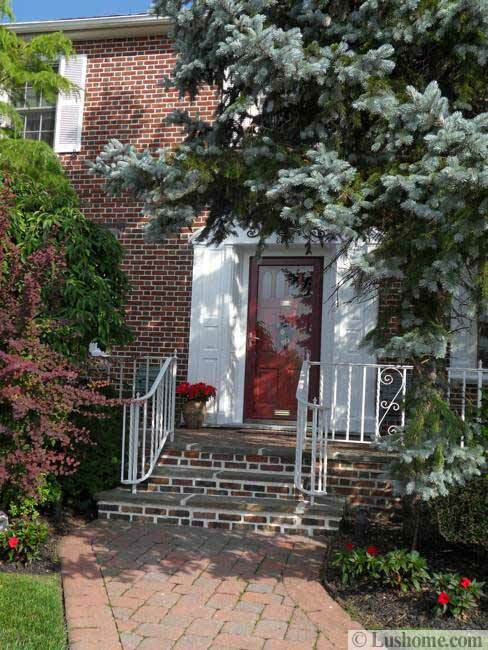 from its architectural style, size, materials and exterior wall colors. 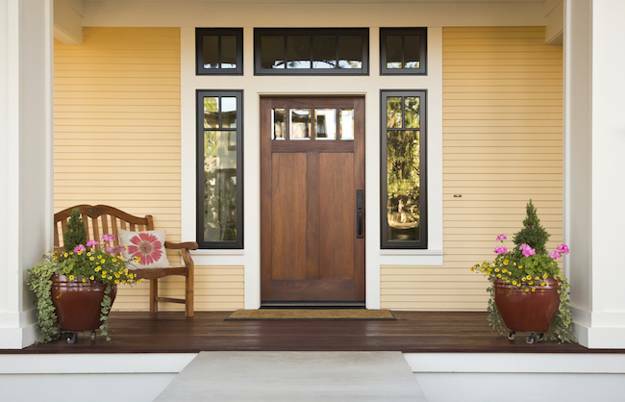 Front door materials range from solid wood, metal and wood, glass, fiberglass and vinyl. 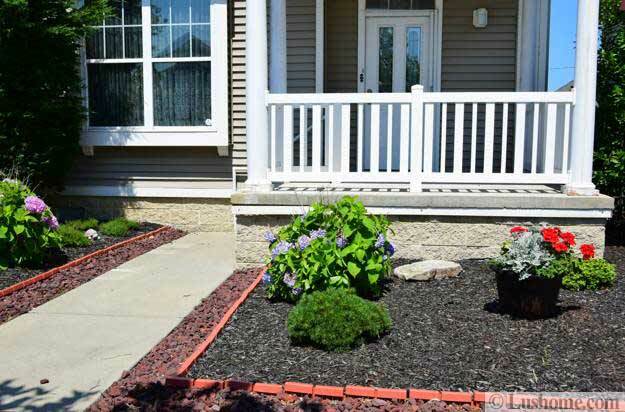 Depending on your house design and your lifestyle, different materials can be used to enhance the house design and improve curb appeal. Exterior wood doors need additional maintenance, but look rich and natural, providing more in terms of appearance, prestige and style. Steel and vinyl doors are good choices for security, practicality and cost-efficiency. Your house design style, exterior wall materials and window designs are important factors to consider when selecting a front door design. 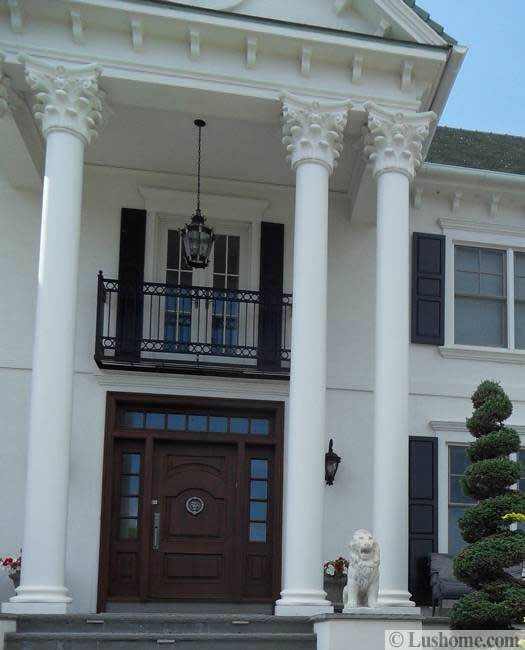 Countryside homes and country-themed exterior walls or more modern houses in contemporary style require different front door design ideas and materials combinations. 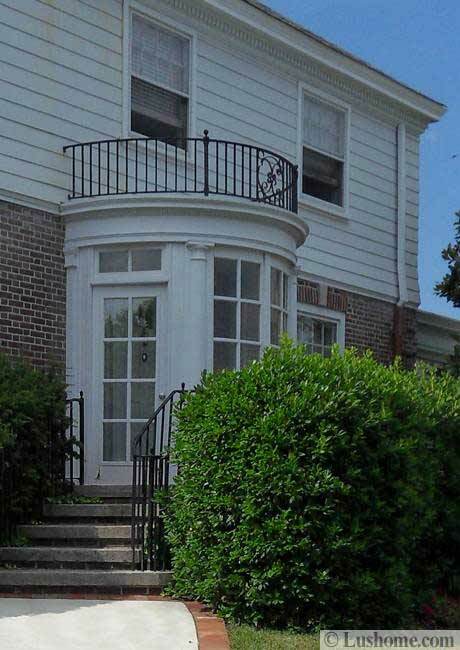 Steel doors are excellent for houses in big cities. 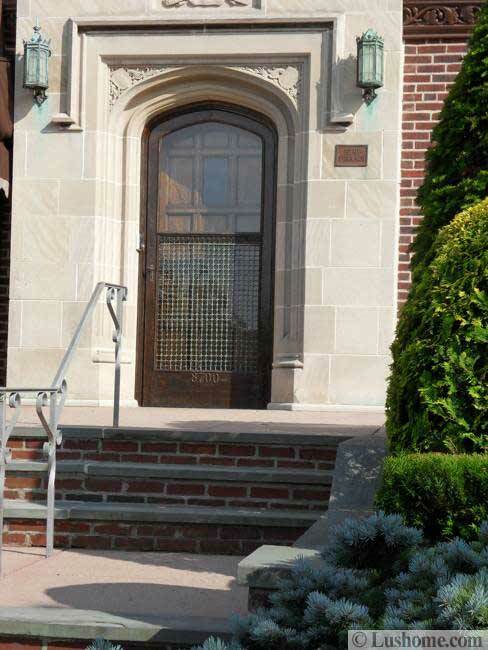 Steel doors provide great security and protection at affordable prices. Glass panelings in exterior door design help create brighter entryways and hallways, and add aesthetic appeal to house exterior design. Whether or not you need to bring more light in is another important factor to consider when choosing your front door design. If the exterior door faces the sun your house can get really hot during the day. Solid doors without front glass panelings are the best to block out the light and heat. 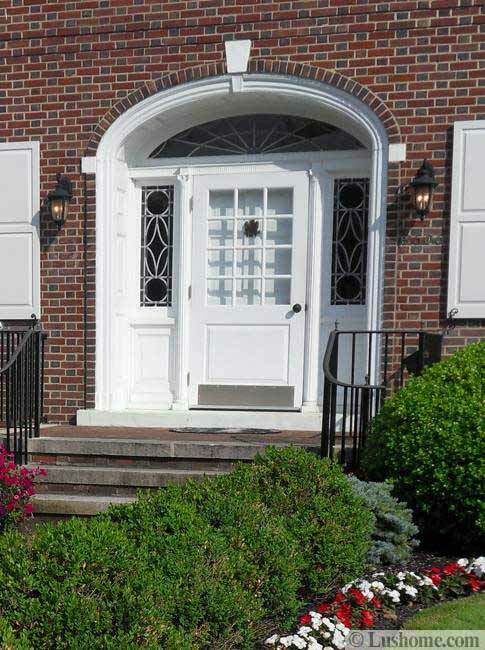 Front door glass paneling look great and make the entrance more attractive. Glass panelings let natural light in, add beautiful glass designs and create brighter, more spacious and pleasant entryways and foyers. 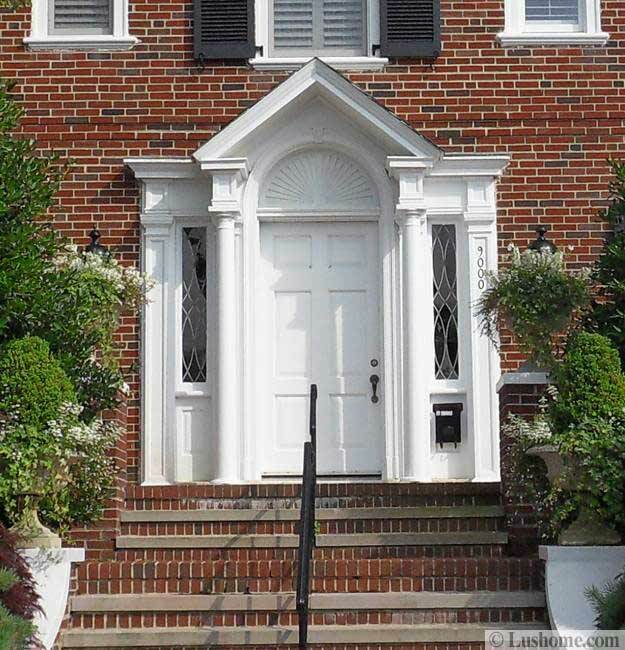 A size of your front door is always a consideration when selecting a new front door. Your door must fit in the entry corridor. Before purchasing any exterior door, make sure it will fit in the area and match the house exterior and interior design style, provide an attractive, affordable and practical architectural element for home protection from elements and intruders. 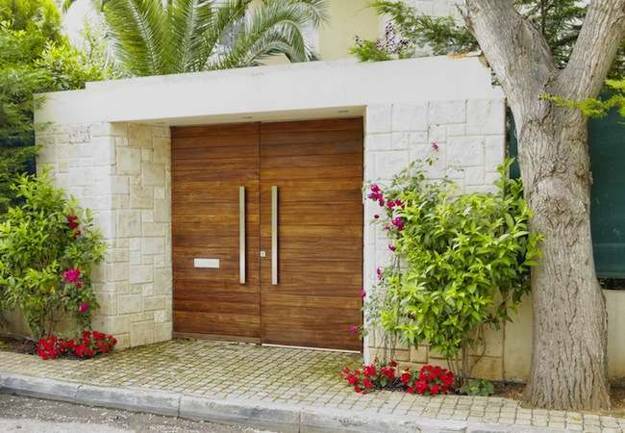 The size of the house, its location, exterior and interior design style and materials used for exterior walls can define the front door design and materials selection. To make an educated and cost-efficient decision, you should make a list of all these criteria and then go over it carefully deciding what front door design style, size and materials are the best for your home.